2014 was a big year for beer. It was deemed healthier than wine, it saved our economy, and then it basically died thanks to Gose. Now we have some concrete numbers on the '14 sales from the Brewers Association, which just released a ranking of the best-selling breweries in America. 4. D.G. 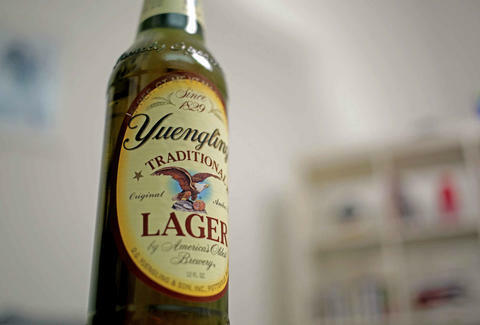 Yuengling and Son, Inc.
22. Firestone Walker Brewing Co.
25. New Glarus Brewing Co.
29. Great Lakes Brewing Co.
32. Stevens Point Brewery Co.
33. August Schell Brewing Co.
39. Full Sail Brewing Co.
41. Southern Tier Brewing Co.
As the Brewers Association notes, 42 of the companies on this list were craft breweries, which is fantastic news. If you'd like to see a top 50 of just those craft dudes, BA has that as well -- and VinePair put together a map of those spots to go along with it. A lot of data to process, hopefully over a bottle from one of these overachieving breweries. Kristin Hunt is a Food/Drink staff writer for Thrillist, and thinks they're all winners. Follow her at @kristin_hunt.